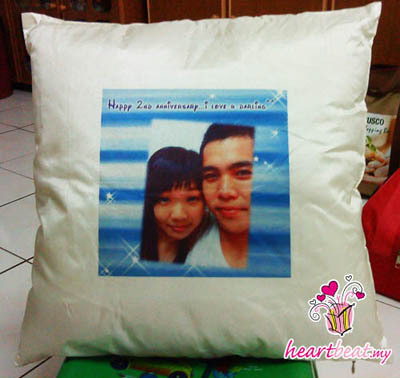 Our personalized cushion with your favourite photos will fit beautifully into every home decor and make a unique and memorable present to give to someone on their Birthday, Anniversary, Wedding, Open House, or during graduation. 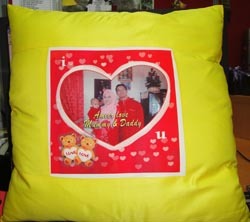 Our cushion with a choice of four colours in high quality soft fabric. You can send us a photograph (family, lover, friend, pet etc) or you can choose any of our other designs or even your own design, text can be added to the picture also. Different shape, different color, different size will definately a piece of artwork in your living hall or room. I have received my order yesterday! My mum's happy and i know that she likes it a lot! Fast & Easy! Creative! Hassle free...... HeartBeat!!! Good service and fast response time. And most important is the unique gifts are value for money. Hope to see more and more products coming soon. "Fast! Easy! Meaningful! Headacheless! Affordable! Creative! Recipients sure feel...... HeartBeat!!! Good service and fast response time. And most important is the unique gifts are very value for money. Hope to see more and more products coming soon. Cheers. " 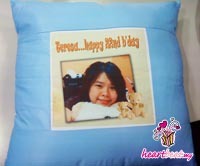 I decided to purchase a white colour pillow with my photo on it at heartbeat website. Is an interesting experince. It takes around 1 week from the day that i order to receive the goods. Firstly, when i receive it, i found that it was quite small. Then i open up the wrapper, actually it is big enough. The softness is good, i like the colour with that. If the picture proportion can be larger a little bit, it would be excellent. 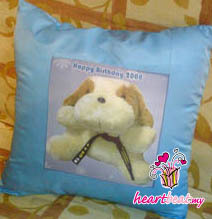 Another things is that the pillow was fold when post to my places. So the pillow case needs to iron to make it smoother. 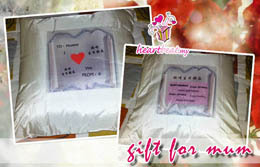 And i'm very surprise cause i receive a gift from that, which is a stationary case i think..